Having to plan a funeral or memorial service is the hardest thing to do at a time of loss. Ask people to describe a funeral and they will say, they are gloomy and depressing affairs. The good news is that an end-of-life ceremony can, in fact, be a beautiful experience for everybody who attend, enjoying a celebration of a life who has passed on. A professionally trained funeral celebrant is there to help you plan a unique ceremony that captures the individuality of your loved one and honours him or her in a befitting manner, with lots of opportunities to share fond memories and favourite stories. This page is here to help answer many questions about Funeral Celebrants. At a traditional funeral, our emotions are somewhat predictable. A sense of sadness is to be expected combined with apprehension, anxiety and tension. There’s a sense of doing the right thing by attending, but you really would prefer to be elsewhere. A quick signing of the visitation book, a coffee, followed by condolences and you’re on your way. Afterwards, there’s a sense of having done your duty, and although the person you honoured may live on in your thoughts, the funeral experience will likely fade from memory. Or worse, it lives on in your mind because it felt so awkward. If you’re attending a ceremony hand written by a funeral celebrant, it will be different. The music that greets you is likely to be a selection of favourites of the deceased. As the ceremony begins with the Celebrant's opening words, setting the scene, you start to relax. As the ceremony unfolds, it helps to guide your emotions with a heartfelt experience that is comforting. You will find that you really listen to what is being said and you may think to yourself: " I didn’t know that was important to him/her.” The tone of the ceremony rings true to the person being honoured. You smile, share a chuckle or two, along with a sentimental tear as stories are shared about their life's journey. You have a sense that you are participating in the ceremony, not just being an observer. For a moment, the essence of your friend or loved one seems to come alive within the room. The ceremony has set the tone that will cascade into a reception filled with warmth and affection. The stories that were shared during the ceremony will bring many more to mind that you will want to discuss with other guests. You stay to chat with the people you have heard of by name, yet have never had a chance to meet. Your memories of the ceremony that honoured their life will live on, for the right reasons. 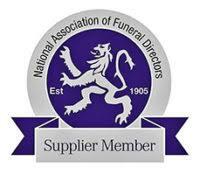 Funeral celebrants are ceremony specialists who create and officiate bespoke personalised ceremonies. They will be professionally trained and associated with a professional organisation such as The Fellowship Professional Celebrants. They will collaborate closely with families and loved ones to ensure the ceremony truly reflects the personality of the individual being honoured. Funeral celebrants are sensitive and responsive to client requests to make sure the ceremony is respectful of their preferences and beliefs. Funeral celebrants believe that every life should be honoured and that each end-of-life ceremony should be meaningful, be it a funeral, a memorial, an ash-scattering or something quite different. They place careful attention and importance to a personalised ceremony experience through words, poems, readings, music and ritual. They do not just perform a Memorial service....to them it is a celebration of life. The best funeral celebrants aren’t simply well trained, they have the aptitude and personal qualities necessary to be successful within this challenging role. Each ceremony is created to reflect the individuality of the person being honoured and will embody the richness of memories of their lifetime; it will stay clear of the emptiness of generic platitudes. Funeral celebrants know how significant a meaningful ceremony can be when experiencing a loss and will do their best to exceed your expectations. The ceremony can be held when it makes the most sense for the family. Sometimes, after coping with prolonged health issues that lead to a death, the family needs time to catch their breath. Traditional funerals tend to combine the committal of the remains (for example, burial) with the funeral ceremony. Activities and decisions needs to occur under a tight time-line to make this happen. Sometimes religious beliefs guide these decisions, which is important for some families. More frequently these days, families choose to handle the committal of the remains separately, sometimes privately, from a more public memorial ceremony. A burial may occur in advance of the ceremony, or a scattering of ashes may be held afterwards. A ceremony to accompany the committal of the remains is usually shorter in length. Funeral celebrants frequently serve clients who prefer a secular-toned ceremony. A founding premise of the celebrant movement is that a celebrant does not bring a faith-based agenda to their interaction with clients or to the ceremony content. Maybe the singing of hymns or reciting of prayers, just doesn’t fit the person who is being honoured. Rest assured that it is possible to have a respectful end-of-life ceremony that is totally secular (i.e. non-religious). Some funeral celebrants will collaborate with religious officiants to create and perform a ceremony. Such a ceremony can blend time-honoured faith-based rituals with creative, personalised content. Why is Having a Personalised Ceremony Important? Experiencing the death of someone close to you can be the worst day of your life. A funeral celebrant ceremony will remind you not of that day, but of the nuances of your loved-one and how they were special. Personalised ceremonies are not reserved for individuals who have lived a long and productive life. When the life-lived may be troubled, brief or far too short, a well-trained funeral celebrant will be able to honour the uniqueness of that very special life. In situations like these, a meaningful ceremony can be especially important. Personalising a ceremony makes it a far more meaningful way to say good-bye. A ceremony that reflects how their life had meaning and how their life will continue to influence others beyond their death, gives a sense of that person living on within the hearts, minds and actions of others. During a personalised ceremony, a touch of sadness is inevitable. Heartstrings may be tugged and a tear or two may be shed, but a smile or some laughter can be experienced as the essence of the life that was lived is honoured. Personalising the ceremony with the musical selections that the deceased enjoyed over their lifetime is wonderful. Hosting the ceremony in a meaningful location can add to the uniqueness of the occasion. A funeral celebrant will find a golden thread to weave throughout the wording of the ceremony. Finding this thread during the family meeting can lead to many ideas to consider for personalising the ceremony. Don’t rush—don’t be rushed to plan the ceremony! The ceremony is the most important part of a traditional funeral, yet it is often the last aspect to be considered. In the traditional approach, decisions about the disposition of the physical remains are often the first steps. A funeral location is chosen, a casket or urn is selected, the date and time is set, then any details regarding the ceremony are forced into the agreed upon time frame. The reality is, the ceremony is about the person who died, but it isn’t for them. It is for the people who care about them. It is for the people who are left behind—the family, friends, colleagues and co-workers who need to say good-bye, to begin to adjust to their personal loss. Maybe it wasn’t the gathering he objected to—maybe what he didn’t want was a sombre, tear-filled experience officiated by someone with a faith agenda that he did not share. It is Ever Too Late to Celebrate the Life of a Loved One? When is it too late to celebrate the life of a loved one? It is never too late! Years after a death, there can be a yearning to “do something,” especially if a request for no funeral was honoured. Often somewhat lighter in tone, as time may have softened the sharpness of the loss, these ceremonies can be a wonderful opportunity to draw people together. A ceremony to pay tribute to a life lived, can be held at any time—on an anniversary of the death or on what would have been a decade-breaker birthday. 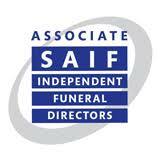 It is important to have some ideas in mind, before you speak with a funeral celebrant. You can consider funeral celebrants when you need them, or reach out to chat with them in advance. ​The terms funeral, celebration of life, tribute or memorial ceremony are often used interchangeably. The essence of each of these types of gatherings is the same; however, the timing can be a bit different. What is a “Living Funeral” or a “Living Celebration of Life”? These days, it is increasingly possible to know when someone is approaching the end of their life. Therefore, why not plan a celebration of life with their input and participation? Do you want to say a special goodbye? Would you like your loved ones to appreciate what you have seen as the most special moments in your life? Once finalised, this document can be entrusted to someone who will be involved in your end-of-life planning to ensure your voice is heard. When you’ve lost a loved one, it is essential that you experience their ceremony, not manage it. When your focus is on the details and logistics you will miss out on the ceremony experience. Preparing a personalised ceremony requires many hours of time. In advance of the actual ceremony date, the officiant must rehearse to ensure the flow of the ceremony will occur as planned. Last minute changes are inevitable, so a degree of flexibility is required along with the ability to incorporate the changes. In addition to ensuring the ceremony itself is delivered, funeral celebrants pay attention to the readiness of the location and ensures outside participants are aware of the timing of their role, (e.g. playing of musical selections). They often supervise the final seating of guests, ensuring key family members have optimal seats. They guide the flow of the ceremony elements, providing support to speakers and participants as required. Recognise that as the ceremony begins, it is time for you to focus on yourself, as you begin to say good-bye to your loved one.